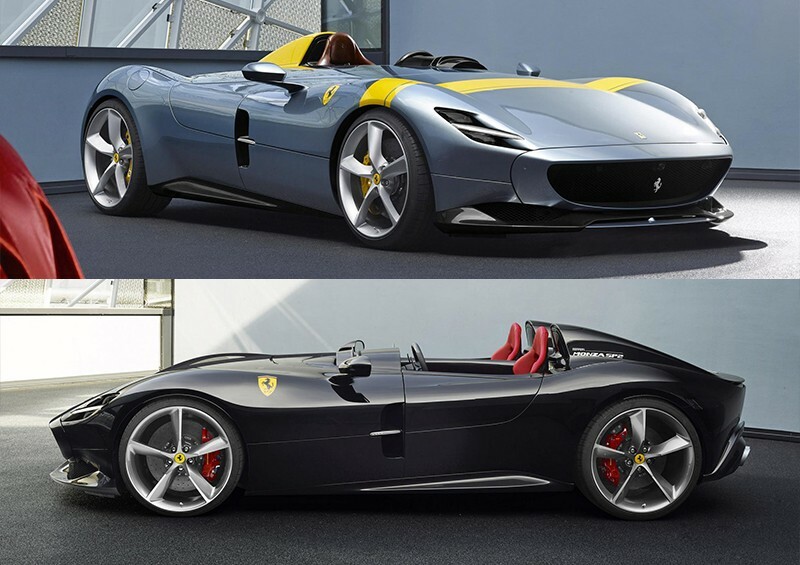 Ferrari has revealed two new beauties: The Monza SP1 and SP2. The first is a one-seater and the latter, a two-seater. Reaching 0-100 km/h in just 2.9 seconds and 200 km/h in 7.9, they have the most powerful engine ever built by the factory in Maranello, Italy - a 810 cv v12. Both are limited editions and are first to be part of Ferrari’s new segment ‘Icona’. They are a unique combination of new and old, as both the Monza SP1 and SP2 have the most advanced sports car technology and are inspired by Ferrari models from the 1950s. Made completely from carbon-fibre, the cars are lightweight for the perfect sports car performance and handling. Ferrari’s new models mirror that of “timeless elegance, minimalist form and refined detail”. Genius. You can find more information in Ferrari's article here - The Ferrari Monza SP1 and SP2 unveiled.